Start your revision early. Ok, we know most of us don’t start early enough and end up cramming but it does make a real difference and there’s no avoiding that. We asked 500 students on a scale from 1- not very stressed at all to 5 – terrified and freaking out and the majority responded with 5. What was interesting to see was that 43.8% of these students feel they didn’t start their exam prep soon enough. If you are one of those thinking of not revising; or starting late; remember that although this can lead to high stress levels that it is NEVER too late to start. Even the day before the exam you could learn something new! 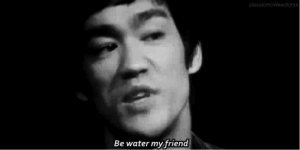 In the words of Bruce Lee, ‘be water, my friend.’. Water, unlike sugary drinks which allow your energy to reach highs and crashing lows can help you to remain calm and focused throughout the day. Not only this but a recent study showed that sugary drinks can lead to depression, which is something you definitely want to avoid when experiencing exam stress and anxiety. Besides this, another study has shown that just bringing water with you into an exam hall boosts students grades by 5% when compared to those that didn’t. 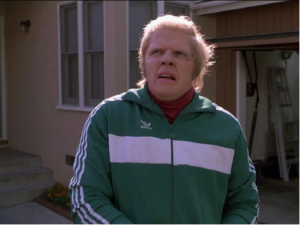 DO what you want to DO: Just because you have exams creeping around the corner like Biff in Back To The Future doesn’t mean you should stop doing the thing you love to do. Sure, your Mum might nag you if you’re taking a break to play a video game but if it allows you to clear your head from exam stress then do it. Taking breaks allows your brain a rest and a chance to digest that whole textbook you just read..
Talking of reading a whole textbook DON’T read the whole textbook – Just don’t overwhelm yourself, this can be one of the most detrimental and counter-productive things you can do while preparing for your matric exams. Instead, break your revision down into manageable and sizeable little chunks. This can be done through preparing a revision timetable (it’s worth it, trust me) or just by mixing up what method of revision you use. Maybe you could use flashcards for Geography, a mindmap for economics and stick some post it notes up around your house for maths equations. Because you’ll never forget that tricky equation quite like the one that you always read when you’re on the loo. Catch some Z’s – sleep is crucial if you’re going to achieve to your full potential. Scientists have found that getting 7 hours of sleep each night can boost test scores by 10% compared to those that don’t. 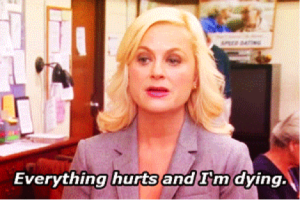 And let’s face it, it’s not just the shame of staying up all night frenetically studying on an energy drink induced rampage that feels bad; your body feels pretty awful too.